Hey all, Today's post is about something that I am incredibly excited about because I got this purchase for a real bargain! 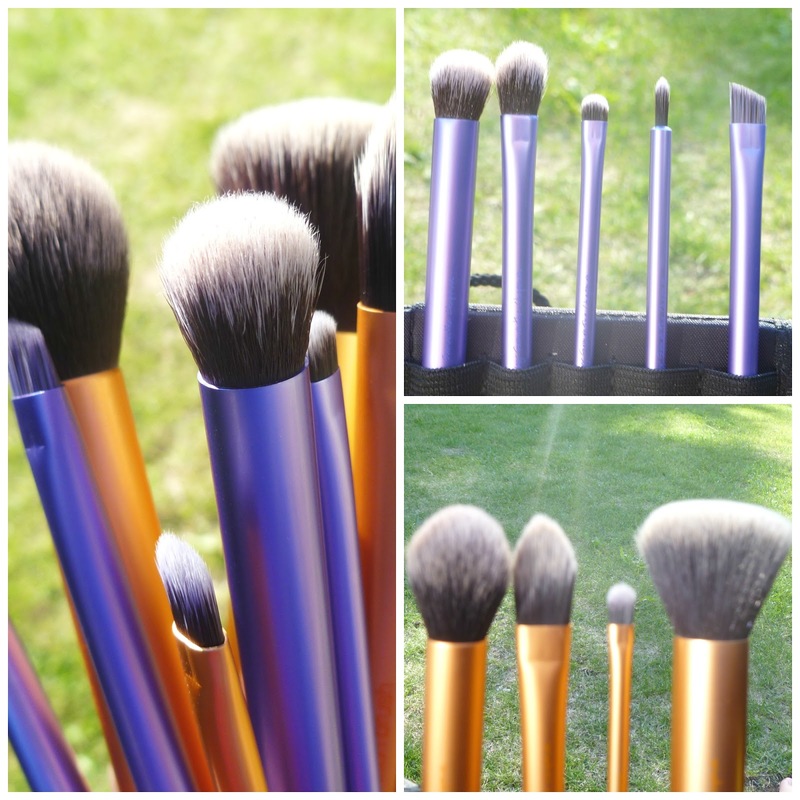 As you all will know if you read my recent post about three real techniques brushes I brought, I love them they are by far the best value for money out of all the brushes that I've tried. Recently I have wanted to expand my collection so when my friend Kelly sent me a link to a site which had them on offer I literally went crazy. My Pretty Face Place is a company based in America but they are selling products including real techniques brushes for such great prices, I have just brought the Real Techniques core collection and the starter kit for a combined price of £15.68 as when I brought them My Pretty Face Place had 20% off everything on their site add this to the voucher code which I got off cosmetics crave which gave me a further 15% off on top of the discount that was already running. This price is brilliant considering that just the core collection retails at boots for £21.99 and at Superdrug for £20.99, it’s like getting two for the price of one while still getting money off. The International shipping is £6.39 so my whole order came to £22.07 which is amazing! 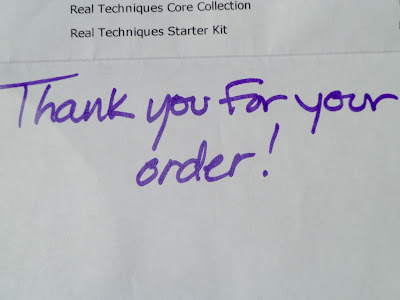 I was so excited to receive my purchases which according to My Pretty Face Place should take from 1-3 weeks to arrive. The products arrived after two weeks which I thought considering they came from Minneapolis was pretty good. Now onto the products, I love the Real Techniques brushes that I already have and let me tell you my new purchases have not been a disappointment. Out of the Core Collection there is only one brush that I have not used so far and that is the detailer brush although I think that it would be great to use it to apply lip products, to give precision when converting up blemishes and also to get a more natural brow look. 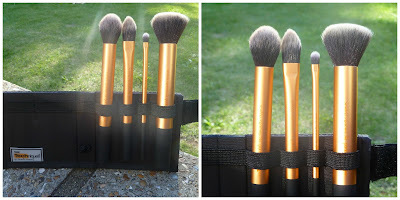 I have used all of the other three brushes and I really love them they have become a part of my every day routine, I use the buffing brush to blend in my foundation after I have applied it with my Real Techniques Stippling Brush. With the pointed foundation brush I feel that it is too small to use it to actually apply foundation with so I use it to blend in concealer around my eyes and nose areas. Finally I use the contour brush as it was intended, let me tell you it is fantastic for the job it is intended for it helps to define my cheek bones perfectly. 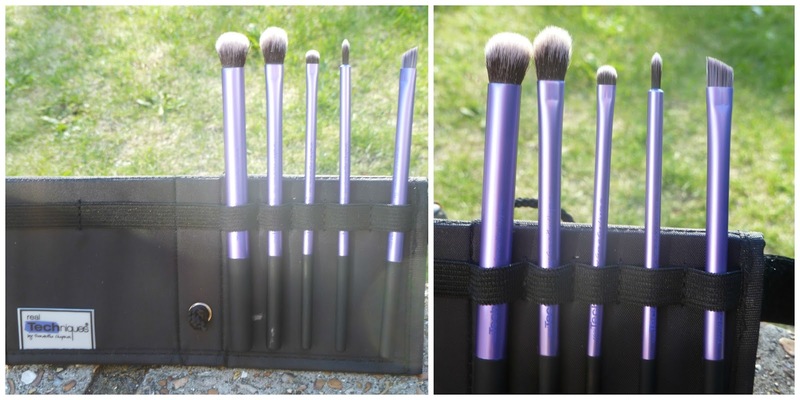 Now with the starter set it is something that I brought on a whim because I was getting the other set of such a fantastic price I thought why not buy the other too I am bound to use the brushes at some point, therefore the fact that I am using them more than I expected is a bonus. What I want to know is if you have any Real Techniques brushes? If so which ones are you favourite and which do you recommend to be the next one to be added to my collection? That's a real bargain! I have the core collection and looking to get the starter set. Would love to see a review on the starter set! 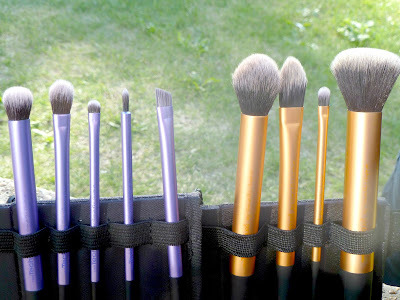 I so so so need some of these brushes in my life! Go,go and get some !! They are just so good! You've got a great collection & what a bargain! I'm defo going to check out that website. heard some great things about these brushes, might make a cheeky purchase if i can justify buying yet even more brushes!! I've really been wanting these sets! But when added together it seems like so expensive- I'm waiting until they go buy 1 get 1 50% at Ulta! Do go get them, they are so good! and so so soft! I know I couldn't believe the price! Aren't they so soft! I've had the core collection a while now and absolutely love it, couldnt be without it now :) you got these as a bargain! Love this post! 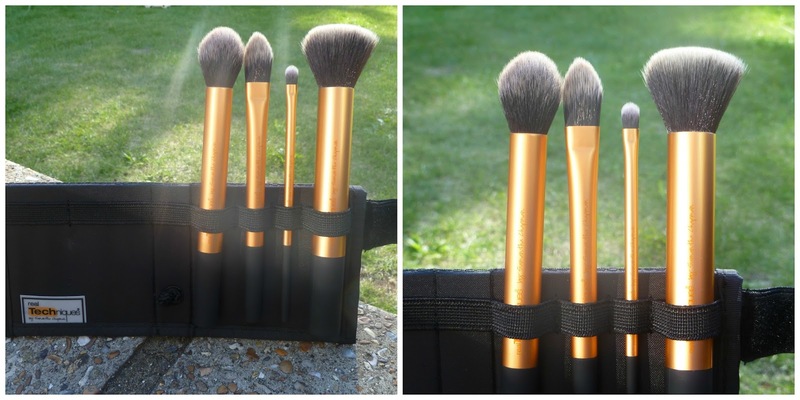 I cant believe the price you got the brushes for that's amazing! Reading your opinion on the brushes was really useful as well, I've been meaning to get some for a while, definitely going to get some now! 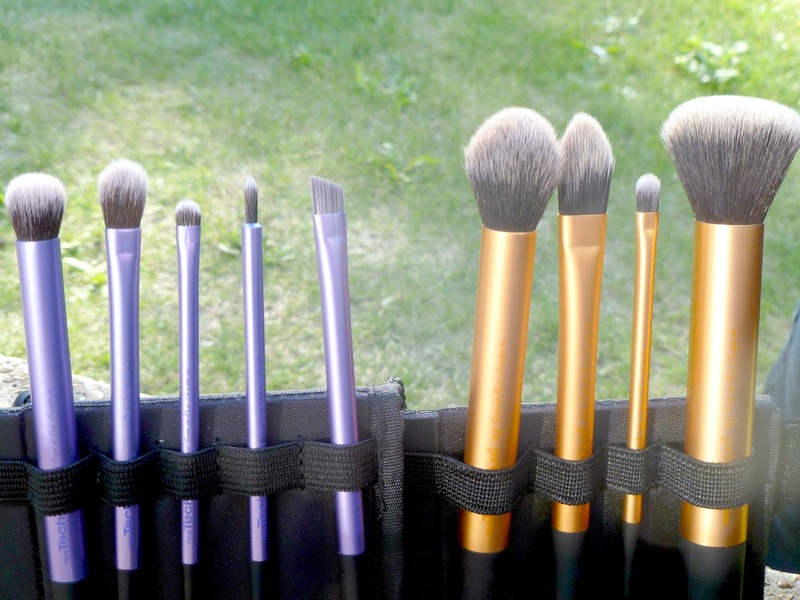 Best budget brushes by a long shot! The photos you have used are beautiful too! i just bought some Real Techniques brushes from there because of your post! loving my life! Did you encounter any customs charges when you bought them? What an absolute bargain!! I've got the Core Collection but have recently been eyeing up their stippling brush, finishing brush and powder brush! Might have to take a peek at this site! They are some of my favorite brand brushes !